Most of the cable sci fi/fantasy shows have wrapped up their Summer seasons and the cast-offs from the 2012-13 season have finished out their burn-off runs as well. But the two broadcast network genre shows still have a few weeks to go as they track very different paths ratings-wise. 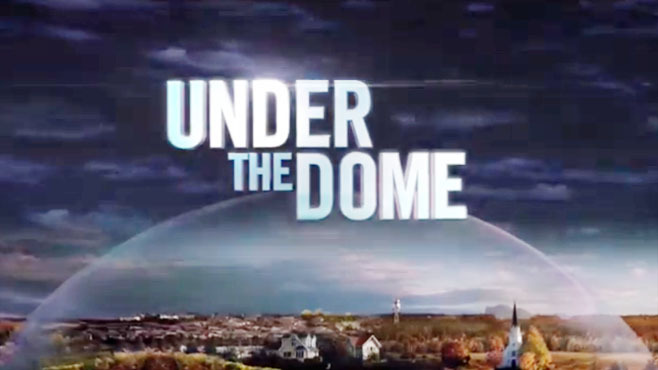 The CBS hit series Under the Dome improved its numbers slightly on Monday as it pulled a 2.5 rating in the 18-49 demographic with 11.1 million total viewers. That turns around the decline in its ratings that it experienced over the last few weeks, though it was never in any danger because it continues to pull monster numbers for a Summer show (and those ratings would likely keep it alive during the regular season). NBC’s Siberia on the other hand, continues to sink to ratings insignificance pulling only a 0.6 score on Monday with a measly 1.7 million total viewers. That might keep the show alive if it was airing on Syfy (and it would actually be a good fit for that channel), but not on one of the Big Four broadcast networks–even during the Summer months. Expect this one to air out its episodes and not even receive the courtesy of a cancellation notice. It will just fade in TV limbo. Last Friday, Continuum aired the second to last episode of its second season on Syfy, though its numbers slipped to a 0.3 score in the 18-49 demo with 1.1 million total viewers. Those are still decent enough ratings for that network for a Canadian import show and the third season is scheduled to air on Syfy sometime in 2014. On Wednesday, Futurama slipped to its lowest numbers for the season with a 0.5 rating and just over a million total viewers. That show only has two more episodes left unless another network (or Netflix or Amazon) decides to pick it. I will continue reporting on the waning Summer season over the next few weeks and keep an eye on the Cancellation Watch Twitter Site for the latest ratings numbers. Also, watch for my preview and predictions for the upcoming season which will be posted in the next week or so. And you can see the status of all this Summer’s genre shows (as well as results from previous seasons) at this link.